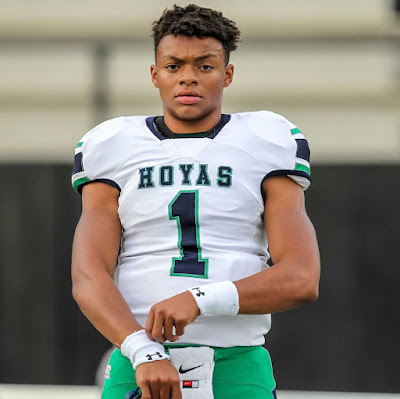 Shirts With Random Triangles: QB Justin Fields, no. 1 overall prospect for 2018, commits to Georgia. 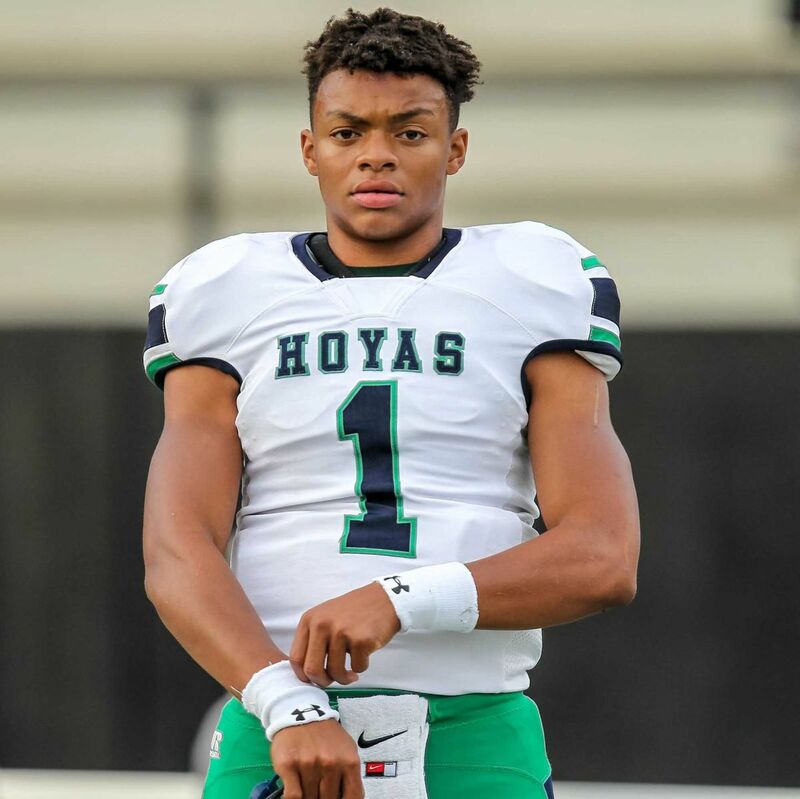 Fields is the sixteenth commitment to Georgia's 2018 recruiting class. In addition to being ranked as the overall top 2018 prospect by the 247Sports, Fields is also ranked as the no. 1 prospect in the state of Georgia, and the no. 1 dual-threat quarterback. Fields had previously committed to Penn State, but decommitted in June of 2017. Fields attends Harrison High School in Kennesaw, Ga. He stands 6'3, and weighs 221 lbs.